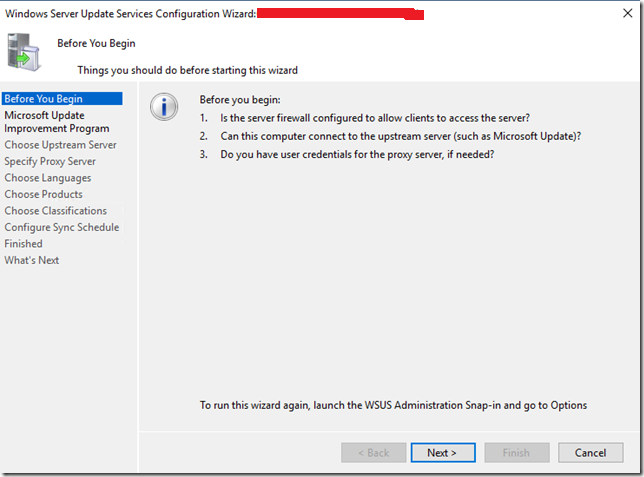 This article demonstrates the installation and configuration steps of WSUS on Windows Server 2016. 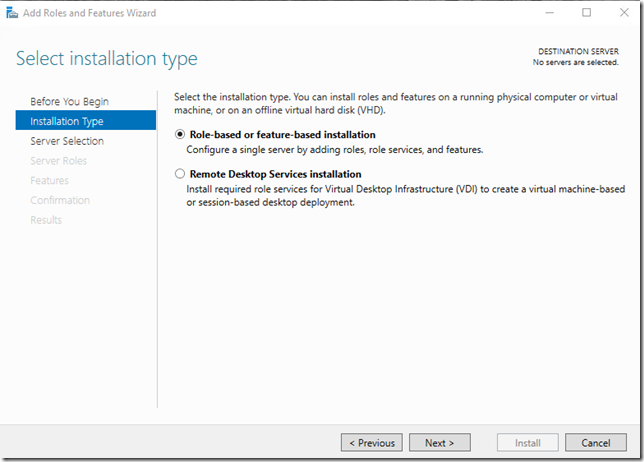 The thing you need to consider is enough disk space to store updates before starting the installation process. 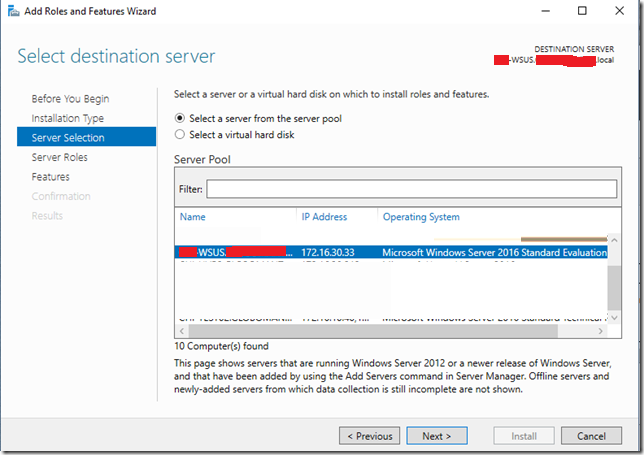 To begin the process, open up Server Manager and add the new server. 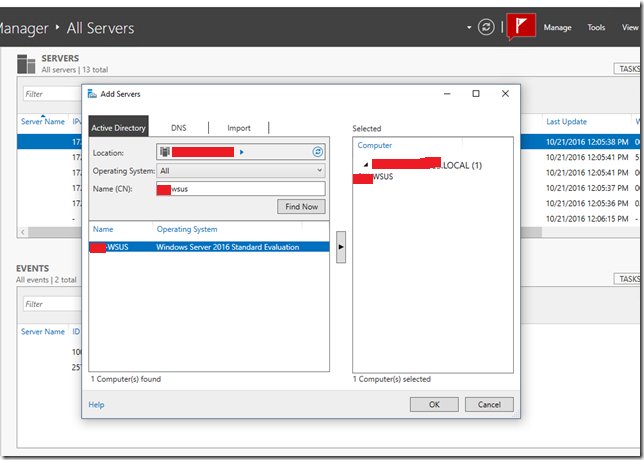 Right-click All Servers and select “Add Servers.” Enter the name of the new server. 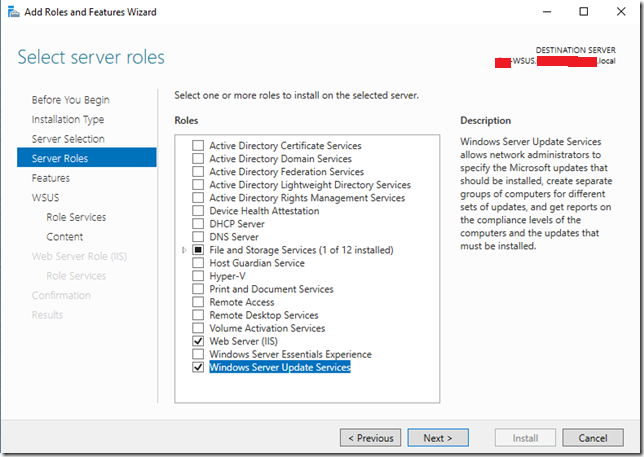 Select the Server and Click OK. 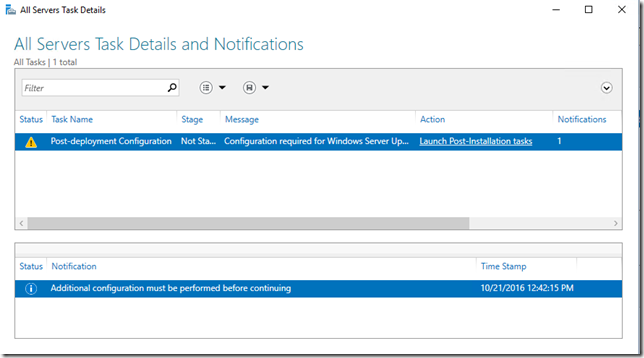 In Server Manager, click “Manage” then “Add Roles and Features.” If you see a “Before You Begin” page, click Next. 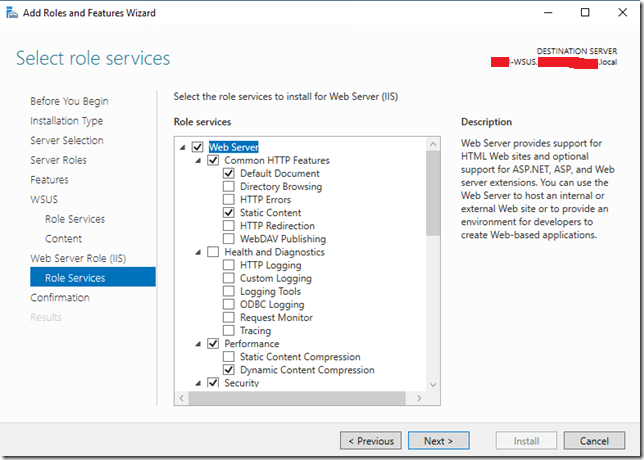 You’ll be prompted to install other required features, such as different IIS features. Go ahead and install those as well. 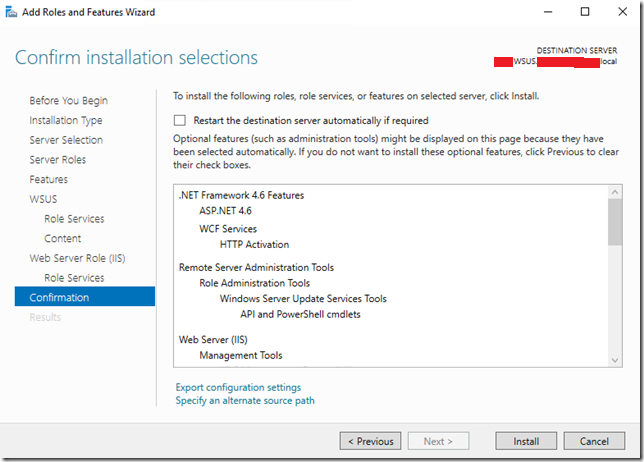 The next page will show you Windows features to be installed. 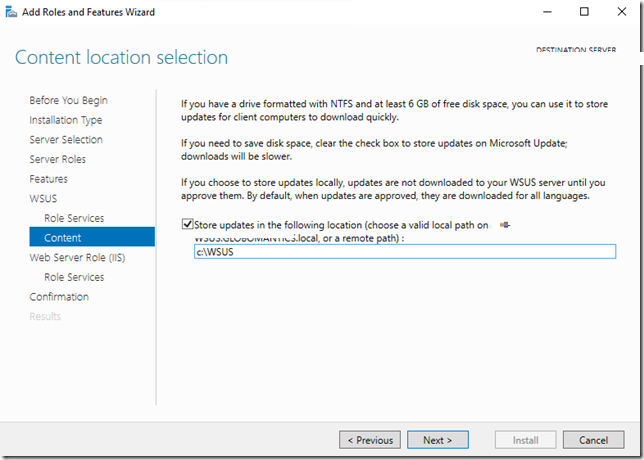 Do not uncheck anything here, as some of the items were enabled to support the WSUS installation. Click Next. 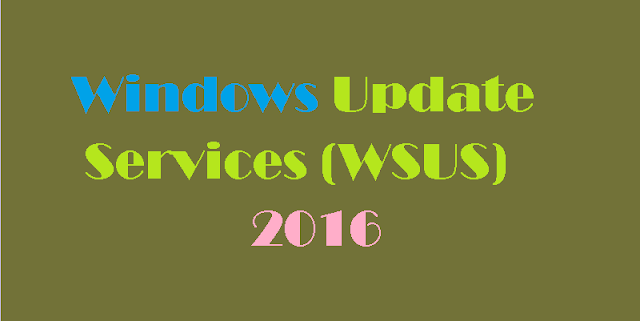 Here you’ll see a summary of related WSUS services. 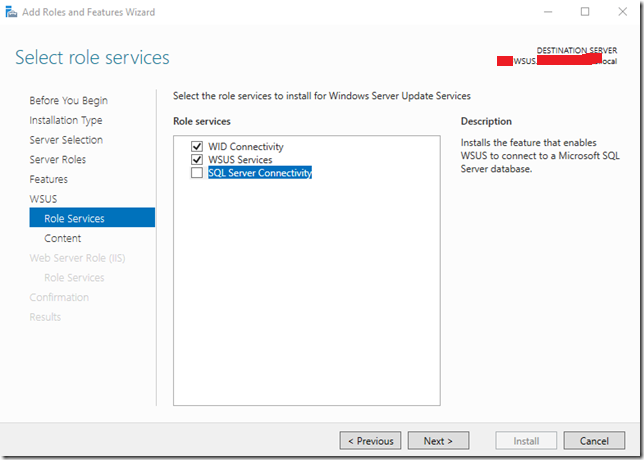 I’m going to use the Windows Internal database for WSUS, so I’ll leave this as-is and click Next. 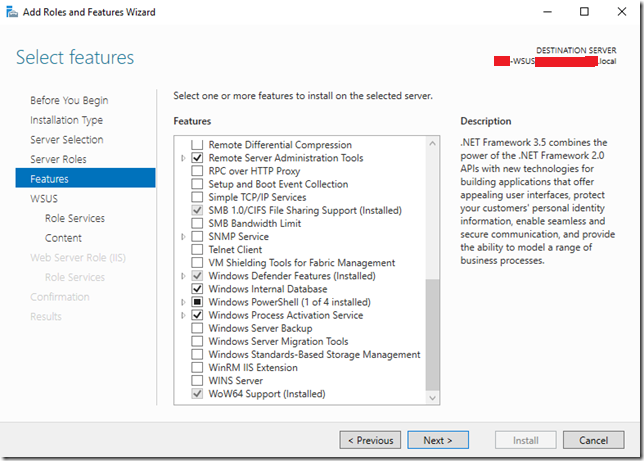 Don't forget to export configuration settings for later use. Once installation complete, reboot your server. 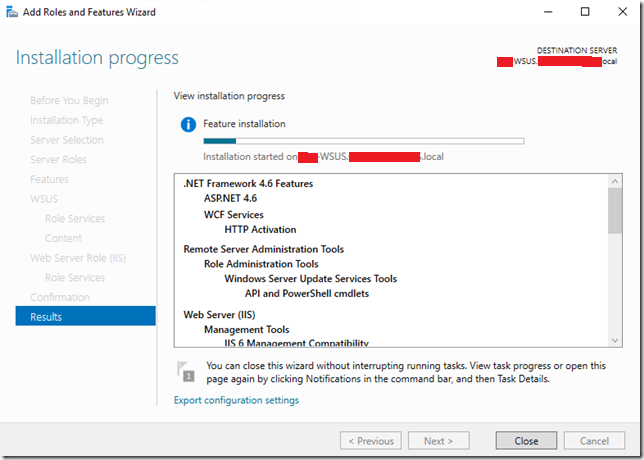 Start configuring your WSUS post installation tasks as they are self explanatory.